Violent incidents that took place in 2004 and 2005 in the Netherlands and the UK respectively prompted people to claim that multiculturalism had failed. This claim requires an assessment of the effect of the policies that were drafted based on this political philosophy. In this study, the author analyses two sets of policies developed from multiculturalism: policies of anti-discrimination of minorities and their labour market participation. 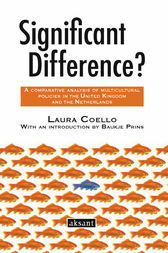 The effect of these policies is assessed by studying the policy objectives and their results.Based on this review, the author concludes that while there is still much to achieve in the fields of anti-discrimination and labour market participation, multiculturalism did not fail in the UK. On the contrary, it created a positive public perception of diversity and a high participation of minorities in the labour market. This contrasts with results achieved in the Netherlands where policies have fluctuated in such a way that the public attitude towards diversity is ambivalent and the participation of minorities in the labour market is much lower than that of their native counterpart.